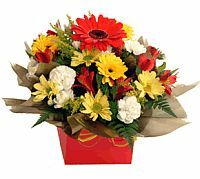 Floramanda Flowers - Florist Batemans Bay will make your every day beautiful. 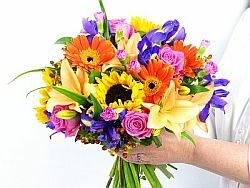 We ensure all your celebrations are life time memories for everyone with our Beautifully arranged fresh and highly colourful fragrant flowers. We cater for all occasions both private and corporate. We will deliver on the same day. We create striking individual designs and colour co-ordinate your bouquets with your wedding gown and all the bridesmaids flowers, Mother of the Bride and groomsmen's button holes. Our fresh flowers are magnificent. 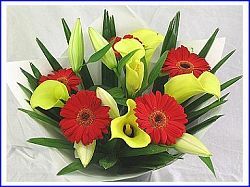 Large Lillies, Single roses or by the bunch for Valentines Day and every week to impress the one you love. Come to us for the best Tropical blooms and orchids and exotic species. 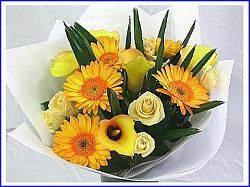 We have a superb selection of indoor plants and boxed arrangements. Send a Baby basket to your new born, and one for Mother with Wine and chocolates. Send the new father Champagne.